We hope you visit us at our NEW blog! We've moved to our new blog. You'll find us at www.WritersCentre.com.au. After almost six years we've decided that it's time to give this blog a gold watch and let it retire gracefully. So this is our farewell post. We've love for you to check us out at our new blog here. You'll find even more articles, podcasts, videos, competitions, book news, interviews with writers and many more resources that we couldn't provide in this format. There are also more contributors and a much easier way to interact with us at the Sydney Writers' Centre and everyone else in our writing community. We hope you like it. If you have subscribed via RSS feed to this blog, you don't have to do anything. The feed will automatically update, so you'll stay in the loop with the latest. I n a change of pace for the Book Club, in May we read and discussed a popular fiction novel – Beneath the Shadows by Sara Foster. English-born Sara Foster now lives in WA and, in a former life, was a book editor. In 2010 she took up her first love of writing and published her debut novel, Come Back to Me. Beneath the Shadows is her second book. Set in the spooky Yorkshire Moors during a brutal winter, the book follows Grace, who has returned to the village of Roseby a year after her husband went missing. His disappearance has never been explained and even the police quickly dismiss it – the assumption being he wanted to disappear. While she’s ostensibly there to clear out the cottage in preparation for its sale, she also hopes to find out just what happened there 12 months ago, and whether her husband is dead or alive. The moody setting and foul weather give this book a spooky feel and Grace finds herself quickly losing her grip on reality but determined to discover the truth. Not many of the book club members read a lot of popular fiction (and neither do I) so this month’s choice gave us a chance to explore the difference between popular fiction and more literary works – and why some of us prefer one over the other. Some classed Beneath the Shadows as a "cut above romance" (and this is not meant as bad thing). Others described it as “easy to drop in and out of”. In other words, it’s a perfect book for when you can only read in short bursts! Most of us agreed that Beneath the Shadows has a strong plot that unfolds nicely leaving the reader keen to find out what happens next. Foster also used her setting (the Yorkshire Moors) well to build the suspense and atmosphere in the novel. Where some of us felt the story fell down was towards the end. As Grace gets closer to solving the mystery of Adam’s disappearance, the pace picks up but there’s almost too much happening. Some really interesting developments in the story weren’t fully explored, and some of us thought that was a lost opportunity. We also talked about the characters. Some readers thought they lacked development, though most of them were certainly likeable. Adam was the one many of us really wanted to know more about. His role in the narrative was more a plot device than a character. This meant Grace couldn’t really grow either – there wasn’t a strong enough connection between her and her missing husband. Where I think Grace was a successful character was in her moments of doubt and panic, when her mind wandered and her paranoia surfaced. Foster really tried to give her readers a sense of Grace’s psychological struggle. For those who enjoyed the book, any issues in the characterisation and writing were minor quibbles. Beneath the Shadows was an enjoyable read and delivered everything you’d expect from a popular fiction novel – pace, plot and a satisfying escape. Have you read Beneath the Shadows? What did you think? We have a rare opportunity for an intern at the Sydney Writers' Centre at Milsons Point. You'll get to work as part of our team producing an exciting new online magazine – all about writing, books and creativity. You must be in at least your second year of journalism studies at uni or higher and have a passion for feature writing, interviewing people and crafting articles. You'll hone you writing skills, meet successful authors and work directly with the talented team at Centre and with journalist Valerie Khoo, director of the Sydney Writers' Centre. This is a unique opportunity for a self-starting individual who can work independently but who also thrives on guidance from a professional writer. If you can commit to at least two days a week (or more), internships run in four-week blocks with the opportunity to extend. Applications close Monday 27 June 2011. Note: Internships are often a mandatory requirement for students in many university courses. This is an unpaid position which you undertake for work experience. We are excited about our internship program and working with you to develop your writing skills, portfolio and profile. The EJ Brady Competition ran by the Mallcoota Arts Council is back for the 18th year, and offering $1500 for the winning short story in 2011. You can enter two different lengths of short story, the Major Short Story and the Very Short Story. Major Short Stories must be under 2500 words long, and the best story in this category will win $1500. The Very Short Story must be under 750 words, and the best story in this category will win $500. You can find out more details and enter online here. The entry deadline is Friday 16 September, 2011. Edwin James Brady came to Mallacoota in 1909 and set up his "Writers' Camp" at Captains Point, where Henry Lawson visited in 1910. Among his other famous acquaintances were Katherine Susannah Pritchard, Louis Esson (poet and playwright), artist Tom Roberts and William Payne the "New Australia" Utopian reformer. EJ pursued a life-long endeavour to improve the lives of both the writer and the ordinary man. He recalls, "We were radical bohemians, filled with sincere enthusiasms. We dreamt the establishment of a new Hellenic democracy. Literature and the fine arts would be a permanent policy of the administration, and Australia was to become the intellectual leader of the nations, and a fingerpost to the freedom and prosperity of the world." Visible Ink 2011 is a great publication opportunity for writers, as an unthemed journal with no restrictions on content or genre. So if you have a short story or poem that you would like to see published, make sure you submit it to the team at Visible Ink by 6 July 2011. All submissions must be original, unpublished works that have not won any other competitions or prizes. Short stories must be under 2500 words, and poetry must be under 50 lines. They also publish images in their journal. For more info and to submit your work, head to their website. If you can get to Leichardt on July 13th from 730pm, we highly recommend you book into this fun event at Shearer's Bookshop on Norton st. When Genres Attack 2 will bring four fabulous authors together to discuss genres, literary awards, heroes, heroines and writing. This event is the sequel to the special panel discussion featuing P.M. Newtown (The Old School), Kirsten Tranter (The Legacy) and Sophie Hamley, but this time they'll be joined by Mardi McConnochie (The Voyagers) and Georgia Blain (Too Close to Home). It's sure to be an engaging evening of literary discussions. The event is only $7, but you do have to book. So call Shearer's Bookshop today on (02) 9572 7766 to reserve your place. The will need for clean white teeth can be a requirement for every human becoming. Despite the fact that everybody dreams of having a pair of clear much healthier robust teeth, but not everyone has them that way. . Except proper cleaning strategy is utilized, there is a quite a lot less possibility of getting them as clear like a set of white pearls. It is stated that apparent white helps in producing the smile more lovely. This finally helps make the experience a lot more attractive. If you can make sense of this, we’ll give you a prize. The best edited version of this passage will receive a book pack that includes Tabloid Man by Sandra Hall, Jasper Jones by Craig Silvey, and Unsung Ordinary Men by Sally Dingo. Email your edited version to courses [at] spindriftmedia [dot] com [dot] au by 5pm Thursday 9 June 2011, and don’t forget to include your postal address. We've got a special offer for all our newsletter and blog readers – discount tickets for Celebrity Theatresports®. The reason we're excited about it is because Sydney Writers' Centre presenter Geoff Bartlett is involved. Some of you will know that Geoff presents the Introduction to Travel Writing and How to get Your Book Published seminars. He is also an author, journalist, travel writer and photographer. Celebrity Theatresports happens just once a year. It is a fund raiser for CanTeen, the charity for young people dealing with cancer and their families. Just like TV shows Thank God You're Here and Whose Line Is It Anyway?, Celebrity Theatresports is hilarious, fast-paced comedy with no scripts where anything can happen. You'll get to see your favourite celebrities from TV, film, radio and sport improvise live comedy scenes on stage based on your suggestions. Stars who have already put their hands up to take part include: Shane Dundas and David Collins (aka The Umbilical Brothers), Mix FM presenter and Good News Week regular, Claire Hooper, author and SMH columnist, Peter FitzSimons, Deal or No Deal host Andrew O'Keefe, Rockwiz host, Julia Zemiro, ABC radio presenter, Adam Spencer – and there are more to come! Celebrity Theatresports will be held on Saturday 9 July 2011 at the Enmore Theatre. Sydney Writers' Centre newsletter subscribers can use this link and when you buy three tickets, you'll get a fourth ticket FREE. It will be a very funny evening for a great charity. Hope to see you there! PODCAST: "Ten Common Business Writing Mistakes"
When it comes to business writing, it's so important to get it right. That's because you only have one chance to make a first impression and you want to appear professional and competent to your clients, suppliers, colleagues and - importantly - your bosses. In the podcast below, you'll hear about 10 common business writing mistakes. Do you make them? The Finch Memoir prize is a signficant writing competition ran each year, offering writers with an unpublished non-fiction manuscript in the form of a memoir the opportunity to be published by Finch, and $10,000 in prize money. Memoir is an enormously popular genre that keeps growing, and we have never run a Life Writing course that hasn't filled up, so we know there are a lot of memoir writers out there. Samantha Miles is the Finch Editorial and Producton manager, and she describes the competition as: "This is an excellent opportunity for new and previously unpublished writers to make their mark in the ever-growing genre of memoir. 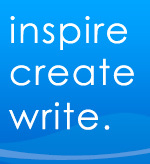 No matter what the subject matter, we are on the lookout for writing that is fresh, engaging and captivating." So if you have a memoir almost finished, it's time to whip it into shape and submit it between 1 September and 14 October 2011.Head to the Finch Publishing website for entry forms and term and conditions. The Lionel Penrose Prize is a competition for 2500-3000 word stories that include factual information about the peace movement and have an optimistic perspective. This competition is held in memory of Professor Penrose, an eminent geneticist and peace activist. • Costa Rica is a country without an army. • Australia has created National Ministries of Peace. • The Japanese Constitution renounces the right to wage war except in self defence. • Officials worldwide transcend national borders e.g. Mayors for Peace. • The Hague Convention (1899)- one of the first formal statements of war crimes in international law. • Olaf Palme, the assassinated anti-nuclear Prime Minister of Sweden, Bernard Lown, President of International Physicians for Prevention of Nuclear War (IPPNW), Joseph Rotblat, the nuclear scientist who opposed nuclear weapons. The prize is open to all but the story should not previously have been published. The first prize is £500, second prize is £300 and winning stories will be considered for publication in Medact’s newsletter, Communique. The closing date is 1 July 2011. Valerie's personal blog. Click here to view.